The Wonderful Wisdom of Oz Playshop! As it turns out, our vivid memories of the wizard, of witches and munchkins, the scarecrow, the tin man and the lion—all part of Toto and Dorothy’s valiant search for home in that timeless tale, The Wonderful Wizard of Oz, are richly symbolic of a journey we must all make through a spiritual realm. 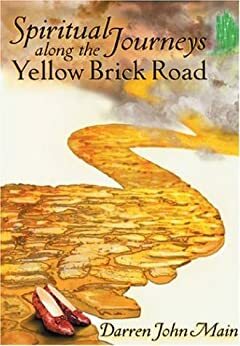 The 1939 MGM movie based on L. Frank Baum’s storybook, written in 1900, conceals a code for a “yellow brick road” each of us is following today. In Meru University 1304R, Wayne Purdin, children’s author and literary authority on Baum, will take you into a world of profound insight, spiritual symbolism, and fantasy. Enter his FREE webinar playshop for 6 hours of dance, song, yoga, meditation and inner-child dialog and discover The Wonderful Wisdom of Oz! Engage your heart, your mind and your body in the deeper mysteries of Baum’s spiritual symbols and see how far you’ve come on your journey along the path of the ascension. 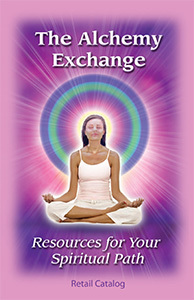 This inner adventure will transform your spiritual horizon with new insights. Wayne incorporates humor, movement and reflective journaling in this immersion experience into a spiritual realm that will delight, enliven as well as enlighten you. You will gain an appreciation of the spiritual symbols, universal truths and wonderful wisdom contained in The Wonderful Wizard of Oz, the first American fairy tale, now loved by people all over the world and translated into over 50 languages. Over a billion people have seen the movie! Wayne’s playshop will explore, in a very applicable and personal way, the spiritual symbolism and meaning behind all the characters in the story, from those good and bad witches and the munchkins within our psyche to everyone’s beloved heroes—the scarecrow, the tinman, and the lion. We all are tempted to put our faith in wizards, those authority figures in government, religion, and medicine who claim they can solve our problems. We all have to deal with the Winkies, wolves, crows, hornets, and flying monkeys (negative people, emotions, and thoughts; worry; addictions) that ally themselves with the wicked witch. And as certainly as we all wish for our true spiritual “home,” we will surely get there. dissolve the wicked witches with fire and water. “C’mon! What are we waiting for?” Register today! This Wonderful Wisdom of Oz Playshop is absolutely FREE. Come play and meditate, enrich your journey with spiritual insights and delightful images. You might just find yourself transported back to the safety and comfort of OM. We all love being transported to the fantasy worlds of wizards and fairies, magic and miracle! Sometimes we instinctively know they speak to us in code and spiritual symbols regarding choices to be made in our own lives. In 1900, Frank L. Baum wrote The Wonderful Wizard of Oz, the first American fairy tale. It later became the MGM movie, The Wizard of Oz, which has now been seen by over a billion people worldwide. What this tale hides in plain sight are the secrets to every person’s journey home. In the new Disney release, based on Baum’s story, OZ, The Great and Powerful, we see temptation, the quest, and the choice offered to us all between mediocrity and greatness. Come play and meditate, journal, dance, and sing with us in our FREE Wonderful Wisdom of Oz Playshop and discover the secrets of Oz. This 6-hour webinar sponsored by Meru University will reveal the spiritual symbols embedded in The Wonderful Wizard of Oz as codes that unlock each soul’s psychology. And you’ll also pick up powerful spiritual tips for your successful journey home. 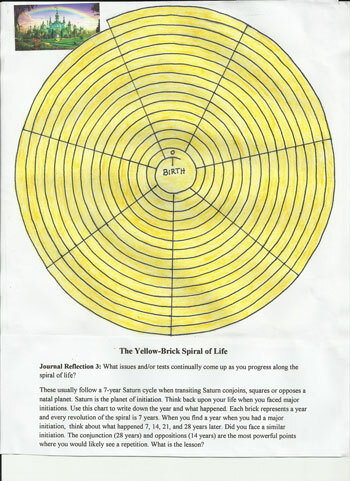 Spiritual Journeys along the Yellow Brick Road by Darren Main. A Playshop of Wisdom Teachings! 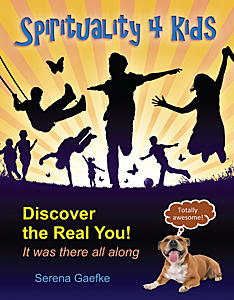 Wayne Herbert Purdin is an author and spiritual teacher. His works include children’s stories, thought-provoking essays, and sun yoga, distilled from 42 years of experience on the spiritual path. Wayne applied divine magic tools and techniques as a teacher of TM for nine years and spent 29 years studying divine magic principles and techniques contained in ascended-master teachings. Through the techniques of sun yoga (solar magic), Wayne healed himself of leukemia. As director of the Sun Center of Phoenix, he promotes the solar teachings of Hira Ratan Manek and Omraam Mikhaël Aïvanhov. Wayne shared their teachings in free teleconference classes called The Circle of Love and Light for almost two years. He has taught three online courses on sun yoga, most recently Solar Health/Solar Wealth for the Hearts Center’s Meru University in 2010. He also taught The Initiatic School of the Great White Brotherhood in 2011. Watch our video sampling of Meru University webinars inspired by the ascended masters. "Wayne's playshop provides a roadmap on how to achieve my ascension along with concepts to be familiar with while traveling the yellow brick road. This serious topic is presented in a light-hearted manner through the study of The Wonderful Wizard of Oz, a fairy tale. Through the presenter's stunning analysis of its archetypes and spiritual symbolism, I learned about concepts such as the inner child, the dweller on the threshold, the masters, violet flame, entities, the four lower bodies and the study of myself through awareness of positive qualities to develop and negative qualities to eliminate. I believe the presentation of these concepts using the story's images made them easy for me to grasp and to understand how they occur in my own life." —N.W. "I enjoyed learning about Frank Baum's weaving of theosophical teachings into the children's books and how cleverly they are represented in a way the everyone can benefit from them, even unconsciously. I also love the personal myth part of the class. Seeing ourselves as the protagonist of our own mythic journey gave me a sense of elevating my life to a level that I hadn't thought of before. That was fun and insightful." —C.B. "Wayne's visuals were wonderful and his insights were very perceptive." —B.G. "The greatest moments were the explanations that were given in reference to the spiritual symbolism of each character. I also enjoyed the creative works that were shared by the participants." —K.K.